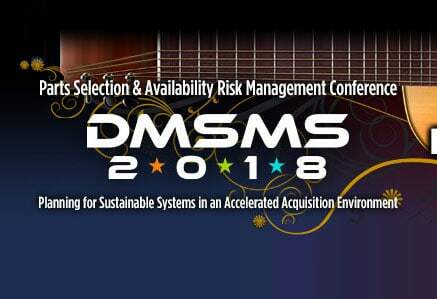 You are invited to join ISI and attend the Diminishing Manufacturing Sources and Material Shortages (DMSMS) 2018 Conference scheduled for December 3-6, 2018 in Nashville, Tennessee. You may also attend the concurrent Defense Manufacturing Conference at no additional expense (by qualifying as active US Military, Government or current DD2354 on file), giving you access to more technical information for the same travel cost. The expanded Exhibit Hall will include all the leading organizations from both the DMC and DMSMS communities. Agenda, registration, and lodging information will be posted on this website. You can also view links from past conferences, access proceedings and see information about prior individuals and teams honored for their management of DMSMS programs. We are looking forward to seeing you in Nashville!